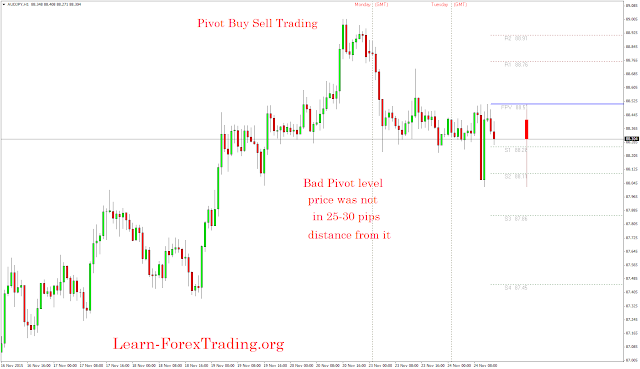 The Pivot buy Sell trading using pivot points to generate trading signals. Pivot points are a method of predicting support and resistance levels for the future.Using mathematical formulas the trader is able to know today, what will be the most powerful support and resistance levels tomorrow. trading platform that do that automatically. Each of these points is a PIVOT POINT. The R points are Resistance levels that we will trade only with LONG trades, and the S points are Support level that we will trade only with SHORT trades. Each day there are 5 pivot levels that we can trade. However we don't trade any pivot levels (it has to meet our filters). First step is to confirm that the pivot level is strong. if the level is a RESISTANCE level we will enter a long trade when the pivot is broken, if the level is a SUPPORT level we will enter a short trade when the level is broken. put a sell order 1 pip below the order. If we have a Support pivot at 1.3019 the sell order will be placed at 1.3018, and so on. We use a 20 pips trailing stop. This means that if price goes into +5 pips profit our stop loss will move 5 pips upwards, so the maximum price can go back before we exit the trade is 20 pips. 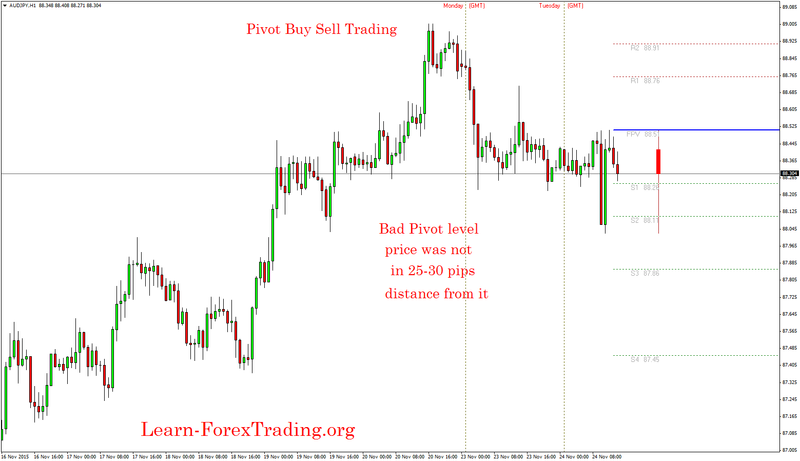 We exit half of the trade at +26 pips profit, and half the profit at +52 pips profit. This is designed to get us in profit AND to take advantage of big moves.